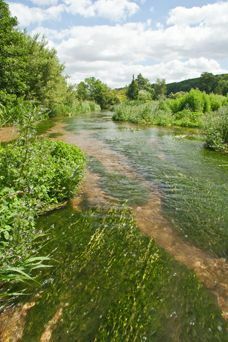 The Chess Valley Walk starts from Rickmansworth where the River Chess has its confluence with the River Colne. It links with the Metropolitan line stations of Rickmansworth, Chorleywood, Chalfont & Latimer, and Chesham giving visitors the chance to walk either part or all of the route. The route can be followed in either direction and is clearly waymarked. Most of the route is on public footpaths but there are short sections on roads. Along the way there are historic buildings and estates, water meadows, ancient field systems and nature reserves. In common with many Chiltern streams, the Chess is a chalk stream fed by water stored in chalk aquifers. At Chesham the Chiltern Link path can be joined which continues to the Ridgeway National Trail.